This summer has been packed with numerous graphics card releases as AMD and NVIDIA unveil their next-gen GPUs and today we turn to Gainward, who have, over the years presented enthusiasts with some rather impressive custom cooled and factory overclocked solutions – stepping outside of the norm and engineering a variety of noteworthy products. 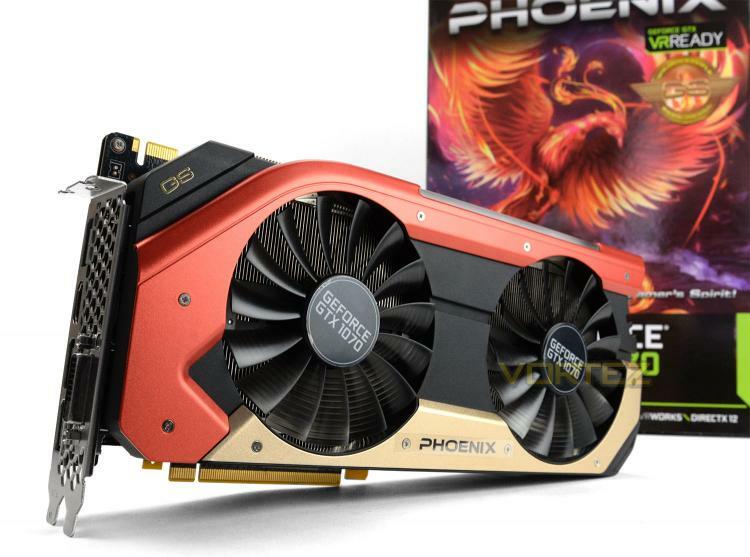 So, in spotlight today is the GTX 1070 by way of the Phoenix Golden Sample. This new graphics card utilises a distinct livery which should set it apart from other offerings out there on the market. The red and gold theme allows this card to stand out from the crowd while the twin-cooler promises to deliver low-noise and low-temperatures. Gainward has also applied a 9% factory overclock to the GPU in the bid to nudge the performance up, above the competition. The Gainward 1070 Phoenix GS edition is factory overclocked, giving superrior 1070 performance straight out of the box. The improved cooler and fan design also brings the core temps down much further than the Founders Edition under full operational load, meaning longer lifespan, no bottlenecking, and a quieter PC gaming system.